For Cloud Wallet, the private key is stored securely with Cobo on the hardware security module and we help execute transactions for you. For the HD Wallet, the private keys are encrypted into recovery phrase (12 words), which you have to securely store and remember. There is one private key for each address. There can be many addresses and private keys in a wallet since each coin has its own unique address. To make it easier to manage and remember the private keys, the private keys are encrypted in a 12-word format called recovery phrase or mnemonic seed. You need to use these 12 words to recover your HD wallet if you are changing your device, your device has been stolen or your device is broken. If someone gets access to the 12 words, he or she has access to your cryptocurrency, so it is very important that you keep your private key, private. How to store your recovery phrase (or private keys)? Using a mobile device to take a screenshot or a photo of the recovery phrase to store it may be convenient, but it is highly not recommended. If the phone becomes lost or stolen, thieves may have access to the wallet. If the phone is lost or broken, the recovery phrase will no longer be accessible. In summary, avoid storing the recovery phrase digitally. Storing the recovery phrase in an email or on the cloud also exposes the owner to the risk of being hacked. For security purposes, it is highly recommended that the recovery phrase be stored offline. The easiest way to this is by writing the recovery phrase down on a durable piece of paper and storing it in a safe place. The recovery phrase can also be printed and stored in a safe place. Avoid using public printers or public computers to mistakenly leave the recovery phrase in the hands of the wrong person. Lastly, ensure that the word order and the spelling of the recovery phrase are correct. The recovery phrase may be accidentally lost or destroyed so it is better to make two or three copies and store each of the copies in different locations. Some people put their recovery phrase in a safe to protect it from theft, water and or fire damage. Sharing your recovery phrase is like sharing the pin to your bank account. Do not share it with anyone, not even with Cobo. 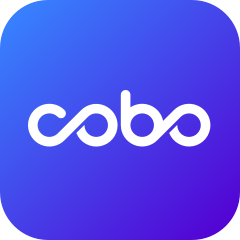 Cobo has no policy to obtain a user’s recovery phrase in any circumstance. The recovery phrase is yours and you are the only one who should know it and use it.